(MoneyWatch) Mad Money's Jim Cramer in November advised investors to "immediately" exit two stocks: Hewlett Packard (HPQ) and Best Buy (BBY). Based on his advice, I acted immediately and instead bought 100 shares of each company, thinking this would be perfect for my gambling portfolio. I sold them 22 days later and pocketed a 22 percent gain. To be more precise, I had a 21.9 percent gain on HP and a 22.5 percent gain on Best Buy. Now, I didn't act counter to Cramer's advice because I disagreed with most of his logic for warning people away from the stocks. He rightly noted that HP has gone from a high-tech innovator to little more than an assembler of hardware; failed in its consulting business; fallen victim to an accounting scandal; and depends heavily on the revenue it generates in the crowded, low-profit printer business. Regarding Best Buy, Cramer noted its slowing sales, cash flow declines, and fierce competition from the likes of Amazon (AMZN), Costco (COST) and Wal-Mart (WMT). 1. Has Cramer addressed the performance of his strong "sell" recommendations for the two stocks since originally making them? 2. Both stocks were down about 75 percent over the past five years, which would have been a much better time to exit both stocks. Did Cramer make any sell recommendations back then? 3. Were his sell recommendations based on any information that wasn't already known to the market? 4. 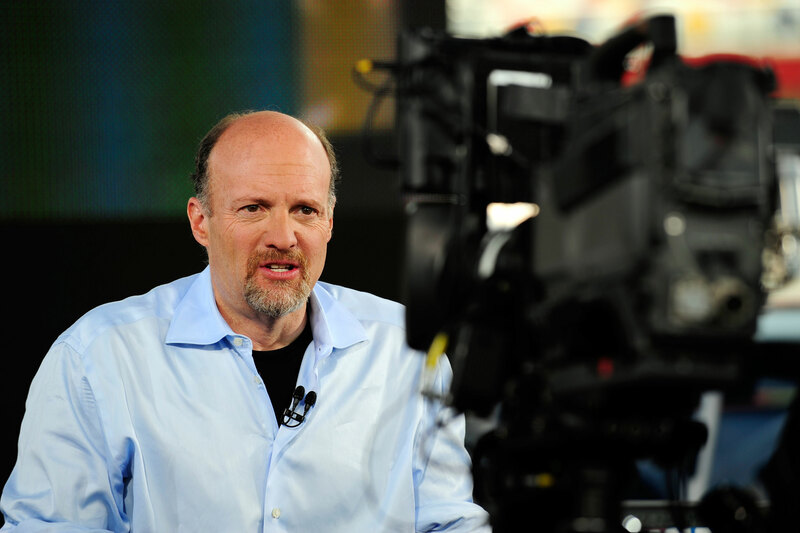 Cramer noted that HP sells printers. What does he think of the rationale that HP really sells ink and distributes that ink by selling printers below cost? No response from Cramer or CNBC was received. Though I wouldn't argue with Cramer's logic that both companies are in trouble, it's not exactly a bolt-from-the-blue realization, nor is it news to the market. Rather, it falls under the "duh" conclusion category of insights, since that's why both stocks were down about 75 percent over the last five years. Obviously, a better time to wave the warning flag to exit the stocks immediately would have been five years ago -- before they plunged off a cliff. Despite claiming in a subsequent video that he had expressed a negative view about HP and Best Best for quite awhile, the timing of Cramer's recommendation appears to be your typical after-the-fact herd-chasing. I've never previously before bought, sold or done anything else investment-wise based on Cramer's advice. This time I did, albeit the opposite of what he recommended because it had my gambling portfolio written all over it. While most of stock portfolio purchases are in broad index funds, as part of my small gambling portfolio strategy I buy a few beaten up stocks a year that, although once household names, now have a good chance of going into bankruptcy. Since institutional investors don't want to explain why they rode the stock to zero, the mass selling drives the price lower and provides a buy opportunity. Sometimes bad companies aren't as bad as the herd thinks and they go up in value, also known as value investing. Thus Cramer's definitive and immediate sell recommendation made buying consistent with my fun portfolio strategy. I only invested a bit under $2,400 in HP and Best Buy and gained a bit over $500, but that happened in a mere 22 days. If I can repeat this over a year, with compounding, I'd have $65,000 in a year, a million bucks in two, a billion dollars in four and I'd be a trillionaire in a bit over six years. I'll be bumping that telecom fellow from Mexico off out of the No. 1 slot of Forbes' most wealthy list in no time! Unfortunately, in order for my strategy to work, I would have to be able to count on Cramer being consistently wrong, so there you go. Even though in this instance going against Cramer's recommendation happened to play into my gambling portfolio, I don't want to make a habit of it.